The weather’s getting warmer, and most of us are finally peeling off the layers of sweaters, scarves, hats and coats that were our winter second skins. Well, it turns out we’re not the only organisms shedding some layers. Here at the Fort Collins Museum & Discovery Science Center, quite a few residents of our live animal collection have been doing some shedding of their own. 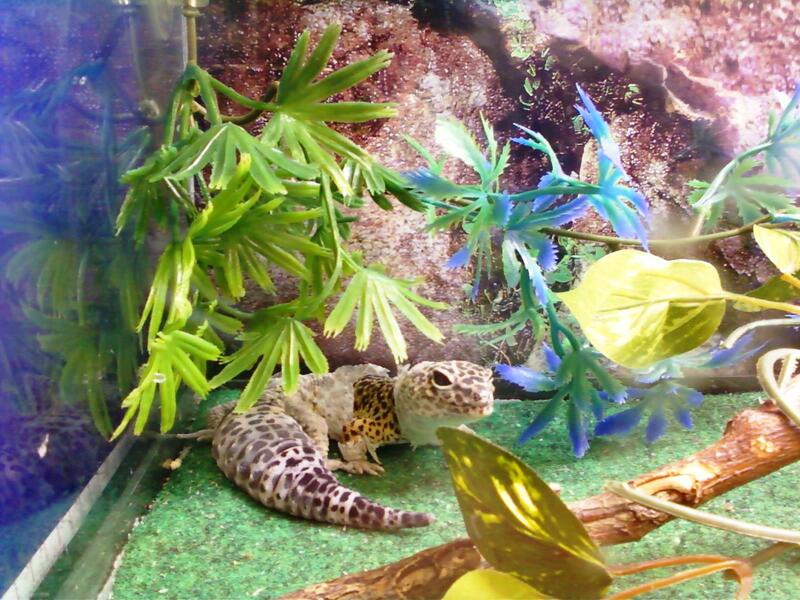 Here’s Leonardo, our Leopard gecko, during a shed cycle. All herptiles (reptiles and amphibians) shed their skin, and Leonardo is no exception. We can always tell when Leonardo is getting ready to shed – he turns white! You can see in the photo how much brighter his new skin (in the middle of his body) is compared to the white, loosened skin he’s sloughing off. And once he’s shed his skin? He usually eats it. It sounds gross, but it’s a good idea. A lot of energy went into loosening and shedding his skin, and by eating it Leonardo can get some of that energy back. Also, in the wild bits of shed gecko skin are a clue to predators that there’s a yummy snack nearby, so it’s important to get rid of the evidence. 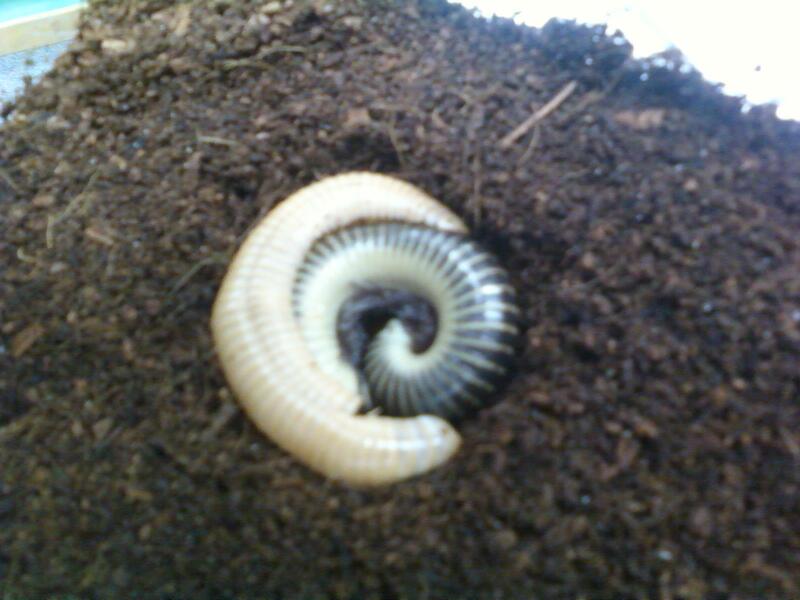 Leopold, one of our giant African millipedes, has also gotten rid of some old skin. It may look like two millipedes in the photo, but there’s only one: Leopold (white), accompanied by his old exoskeleton (dark). When arthropods (which include millipedes) shed their skin, it’s called molting. Unlike the thin, flexible skin that most vertebrates have, arthropods have an exoskeleton, or outer skeleton. Because it’s a hard outer casing, the exoskeleton doesn’t flake off in bits. Rather, millipedes (and insects, spiders, crabs, and other arthropods) grow until they no longer fit in their exoskeleton, the exoskeleton splits, and the animal crawls out. In the photo above, Leopold’s abdomen (back end) is still coming out of his exoskeleton. Many arthropods are white after they molt. As their new exoskeleton is exposed to the air, it hardens and darkens. And what happens to the old exoskeleton? Leopold will eat it (yep, there’s a theme here). 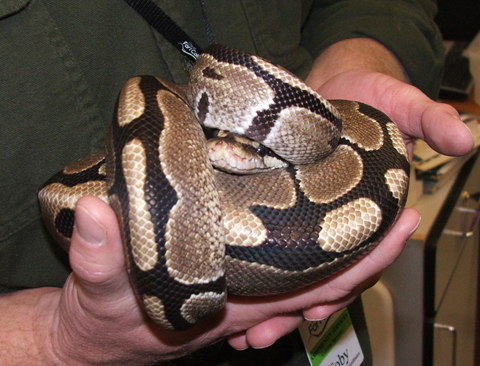 Slinky, our Ball python, sheds his skin every three weeks or so. When Slinky is ready to shed, his skin color becomes duller and his eyes turn foggy. The color change is because Slinky’s skin is lifting away from his body – even the eye caps that protect his eyes! 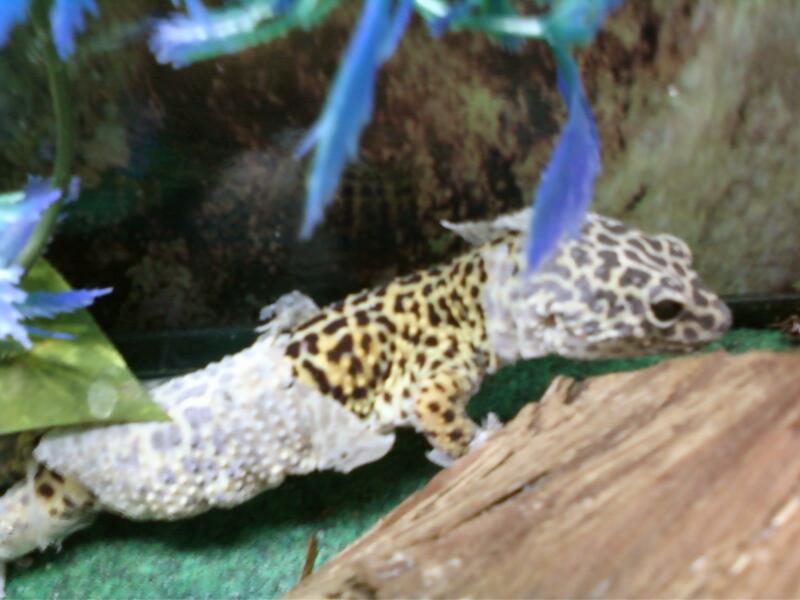 Like Leonardo, our gecko, Slinky’s skin usually comes off in sections. Since Slinky doesn’t have any limbs to help him remove his old skin, he uses the friction of his body rubbing against other objects (and rubbing against himself) to remove the skin. 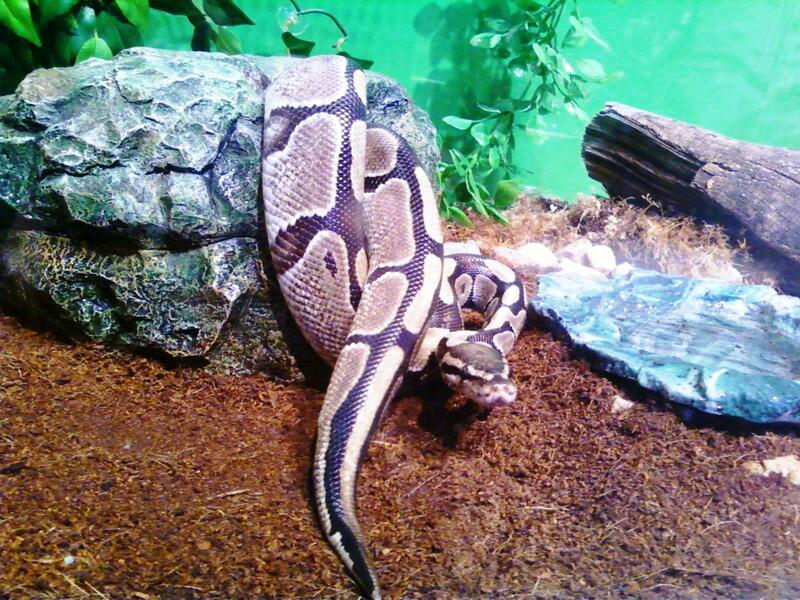 Click here to see a video of Slinky shedding while coiled up inside his rock. Slinky didn’t eat that skin – he much prefers rats.